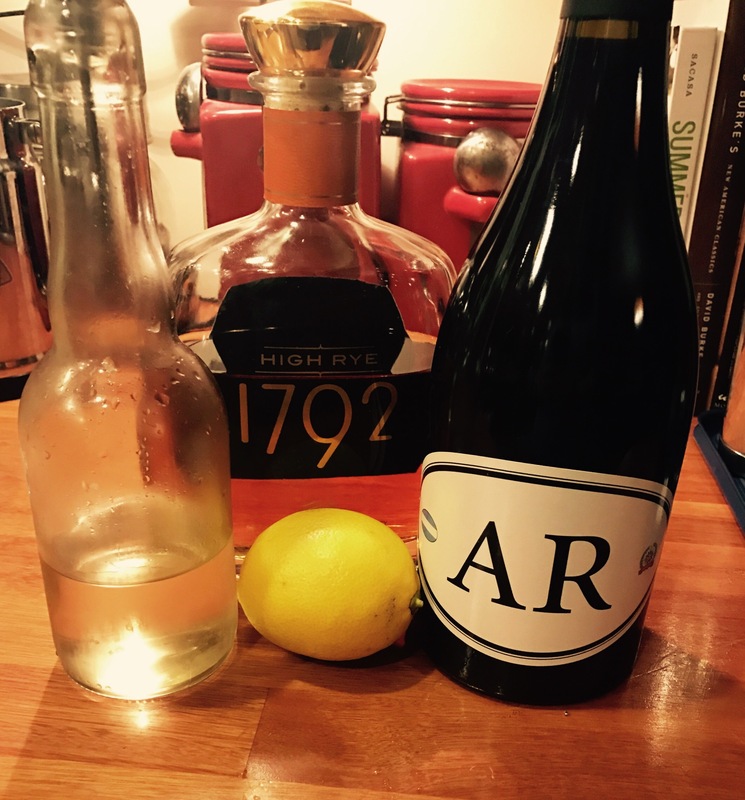 Cocktail: New York Sour – eating my way through Charm City! So, when you LOVE wine and date someone who likes cocktails a little more than you like wine, there are sometimes a few not quite finished bottles. Gasp?! Throat clear… Ok, thats rarely true, but in an effort to not feel like I am drinking the bottle by myself, I came across this perfect little number. 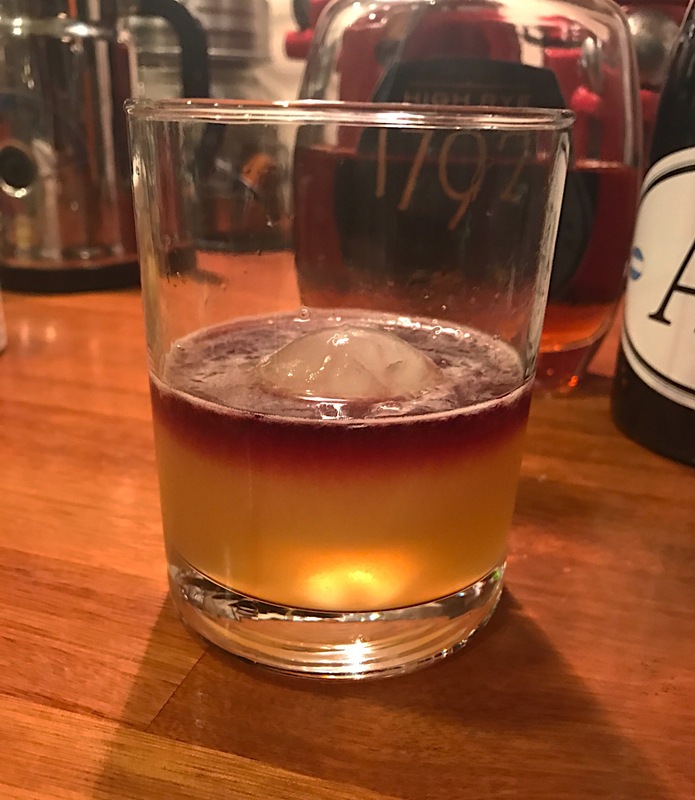 The New York Sour may or may not have started in New York; some think the south and some think Chicago. Nevertheless, named after the big apple we have a combination for cocktail and wine. Pour everything but the wine into a shaker with ice and shake for about a minute. Strain into your glass of choice, I used a rocks glass with a large ice cube. It was hard to get the effect I was looking for in the coupe. Last step is to float a little bit of wine on top. I poured it onto the back of the spoon in hopes that it would stay on the top. It did – gravity and density are amazing. This, however, might not be the best way to teach the kiddos. This entry was posted in Bourbon, Charm City, Rocks Glass, Shaken, What Am I Drinking?, Wine. Bookmark the permalink.